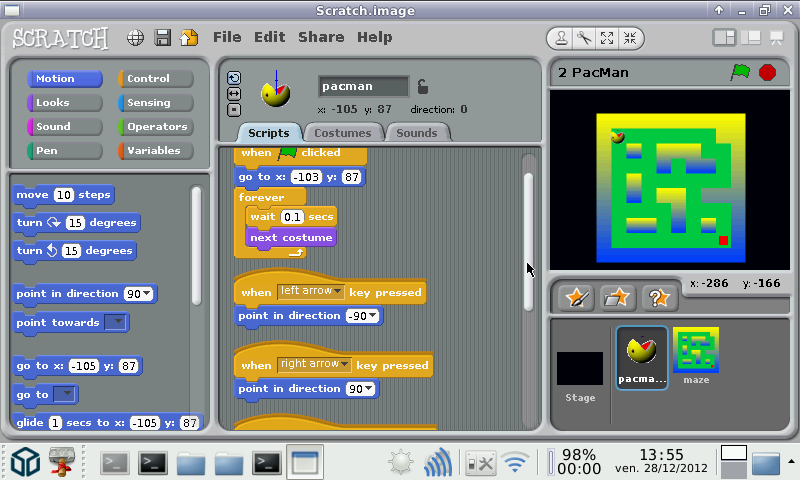 Despite needing OpenGL, Scratch is not slow. I found it enjoyable on the Pandora (but I haven't done a real project yet). Include a small and fast browser for Helpfiles (dillo 3.0.2). It works well for help, but not really to browse the main Scratch website. You should use Firefox for that. 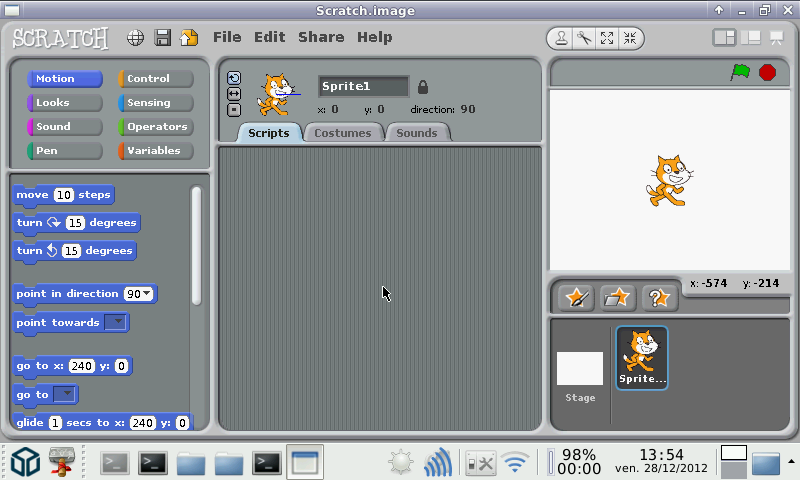 * Scratch can be setup in many languages (tested just English and French). * Included help in English (default), French (tested), Deutch and Italian. 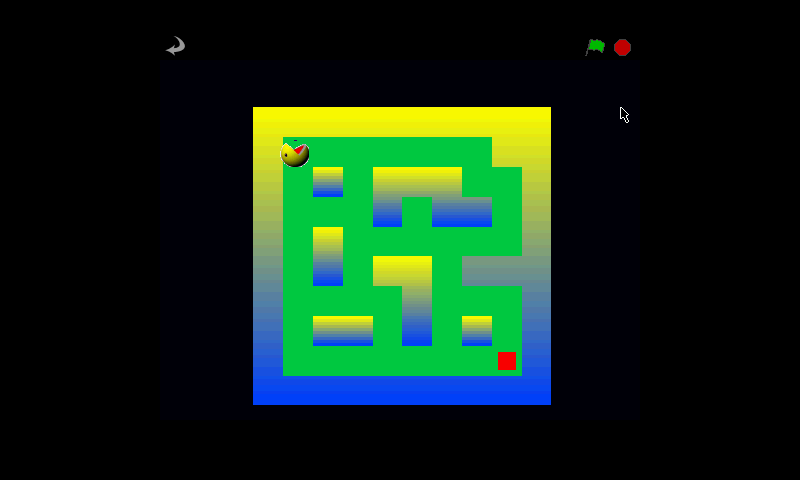 * Included the "Dillo 3.0.2" browser, so the help files (html files) actually opens somewhere. * the Media folder is include. It should be situated in /usr/share/scratch, but scratch hasn't complain and seems to finds it. * the Projects folder contains samples Projects. It is created at 1st lauch, so it is 100% writable.